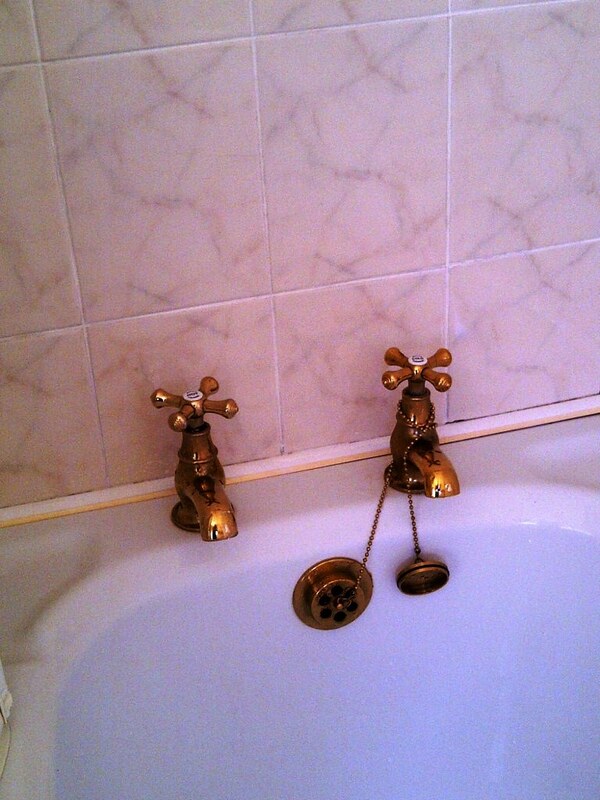 This was a straight forward request to rejuvenate the ceramic tile and grout around the bath at a house in the town Kettering. 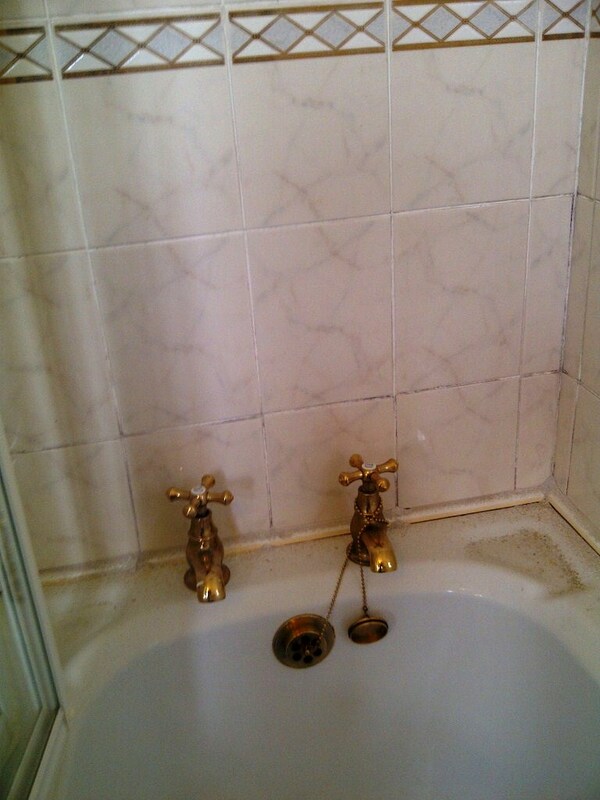 The glazed ceramic tiles where in good condition but the grout and seal around the bath had become quite grubby and stained with dyes from shampoos, soaps and had gone dark in some areas where mould had started to get a foothold. We started by spraying the tiles with Tile Doctor Oxy-Pro which is a strong high-alkaline cleaner especially formulated and packaged for cleaning showers. The spray delivery is important as mixing the cleaning product with air makes it lighter and helps it cling to the tile and grout. The Oxy-Pro was left to soak in for around 15 minutes before being scrubbed into the tile and grout using a stiff grout brush. 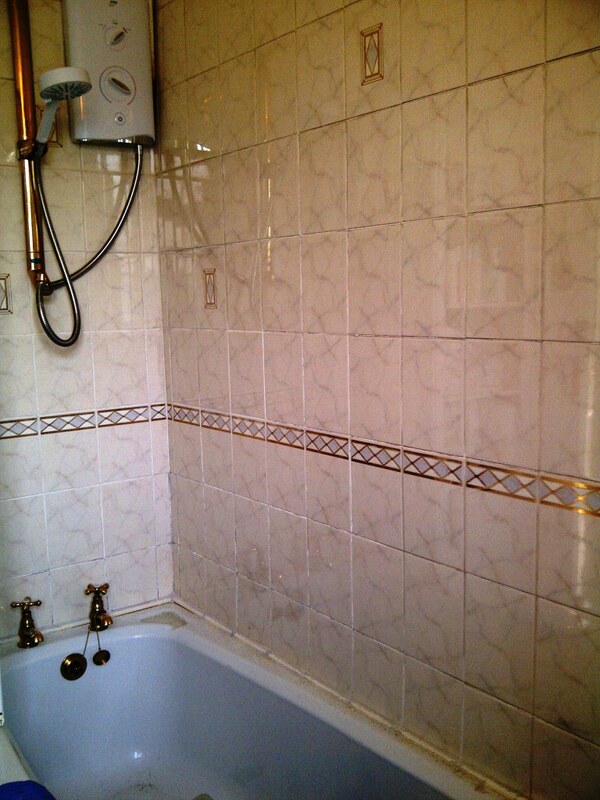 This action cleaned up the grout and tile nicely removing stains from shampoos and soaps etc. 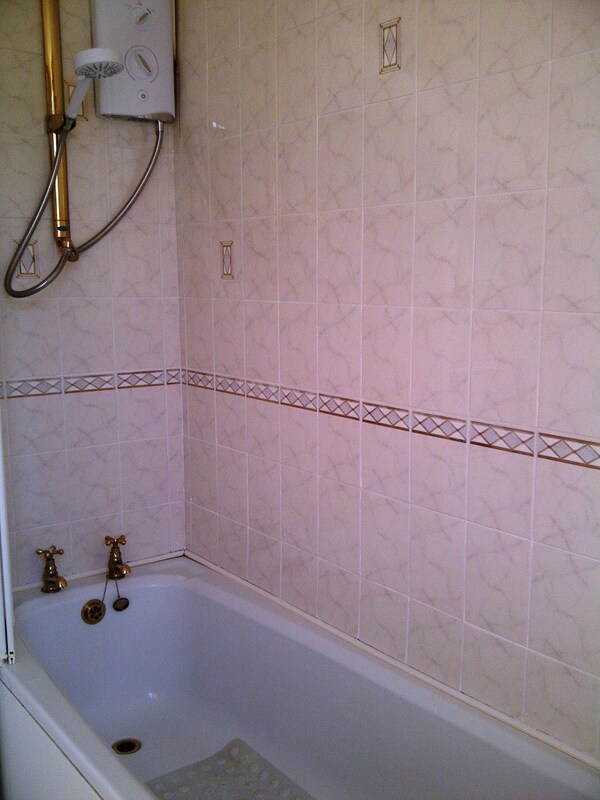 The grout was looking much improved but there was however some evidence of mould remaining which needed dealing with. To tackle this we used Tile Doctor Mould Away which is designed to remove mould off Silicone and Grout. It’s very easy to use, you simply spray the Silicone or Grout to be treated with Mould Away then leave to soak in for twenty minutes and then scrub with a brush and rinse with water repeating the process until the mould has disappeared, in extreme cases you can leave it for a few hours but we didn’t need to do that. I was unable to use any tools on this job so it took a fair amount of manual effort but the results were well worth it as you can see.